Almaty, March 28: Kazakhstan's new president will visit ally Russia on his first foreign visit, his office said Thursday, days after predecessor Nursultan Nazarbayev suddenly quit the post he held for three decades. Nazarbayev, who had ruled the energy-rich Central Asian nation since before it gained independence with the 1991 collapse of the Soviet Union, announced his shock resignation in a televised address last week. 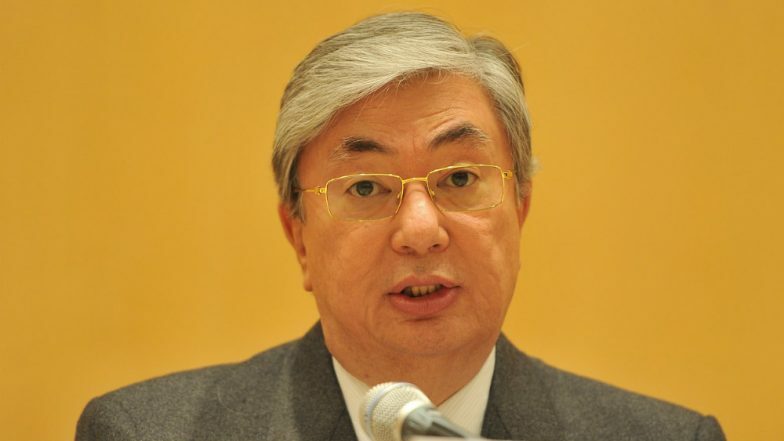 Career diplomat and political loyalist Kassym-Jomart Tokayev, 65, took over from Nazarbayev but signalled in his first speech after inauguration that his predecessor would retain a decisive role in decision-making. The 78-year-old, who has the constitutional status of "Leader of the Nation" as well as a life-time position as chief of the security council, is known for careful diplomacy that privileges key partners Russia and China while maintaining cordial ties with the West. Kazakhstan's New President Kassym-Jomart Tokayev Renames Capital as Nur-Sultan. The announcement of Tokayev's forthcoming visit to Russia on April 3 will therefore be viewed as a continuation of that policy. Tokayev's former position in the senate was taken up by Nazarbayev's 55-year-old daughter, Dariga Nazarbayeva, triggering talk of an eventual dynastic succession.